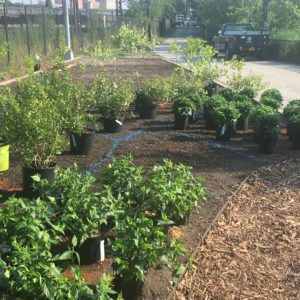 An edible landscape design for a New York City park demonstrates how a marginalized landscape can become a productive community foodway. 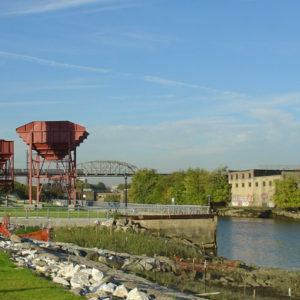 The Bronx River Greenway is a nearly 23-mile corridor of green space that follows New York’s Bronx River from its headwaters in Westchester County south to the East River. 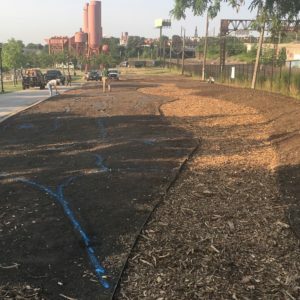 For over a decade, multiple organizations have worked together to revitalize the Greenway through ecological restoration, park development, community outreach, and place-making celebrations. 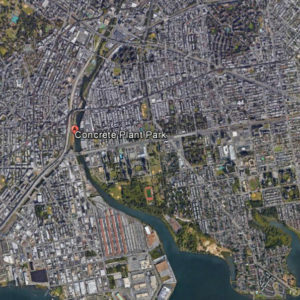 Within the Greenway is a seven-acre waterfront gem: Concrete Plant Park. 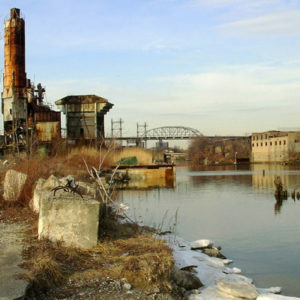 An operating concrete plant until 1987, it sat abandoned until the NYC Parks Department acquired it in 2000. Years of restoration, outreach, and planning culminated in the park opening to the public in 2009. It features multi–use pedestrian trails; a canoe and kayak launch; a waterfront promenade; a reading circle; and inviting park entrances. 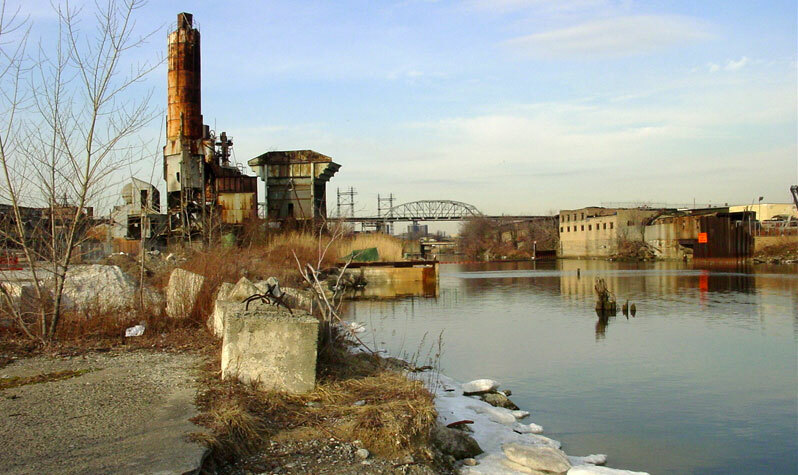 Most strikingly, the park celebrates the site’s industrial history by showcasing the sculptural qualities of the abandoned infrastructure. 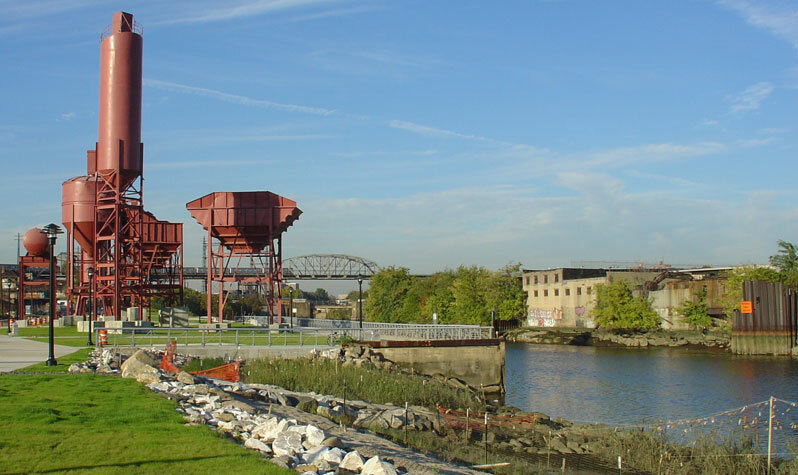 The Bronx River Alliance has been instrumental in building partnerships to protect, improve, and restore the Bronx River corridor. 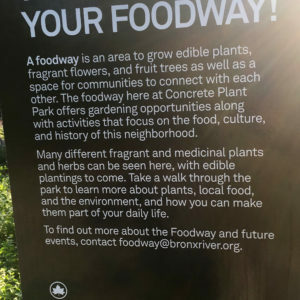 A recent project — the Bronx River Foodway — hopes to demonstrate how a sustainable food landscape can be integrated into a public park. In this context, ‘foodway’ refers to a landscape where food, culture, traditions, history, and community intersect. 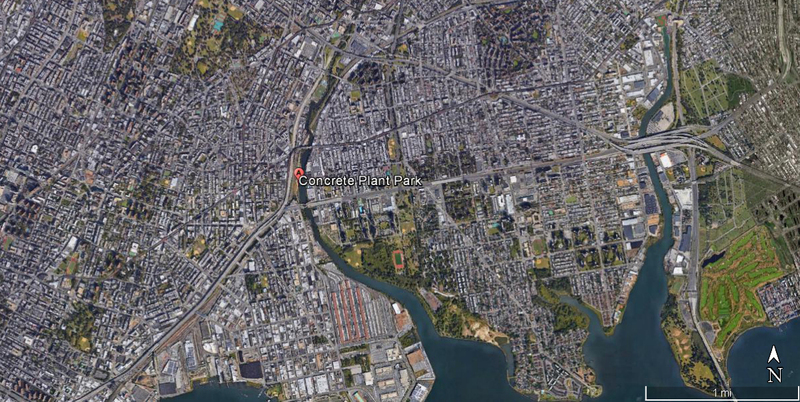 Concrete Plant Park was chosen as the pilot site for the Foodway’s first phase. 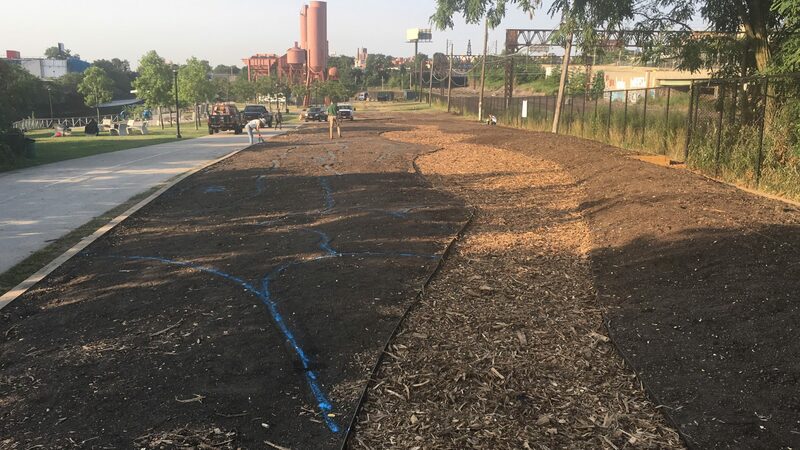 RDG partnered with foodscape designs to develop a planting plan featuring fruits, nuts, perennial vegetables, medicinals, and pollinator habitat. 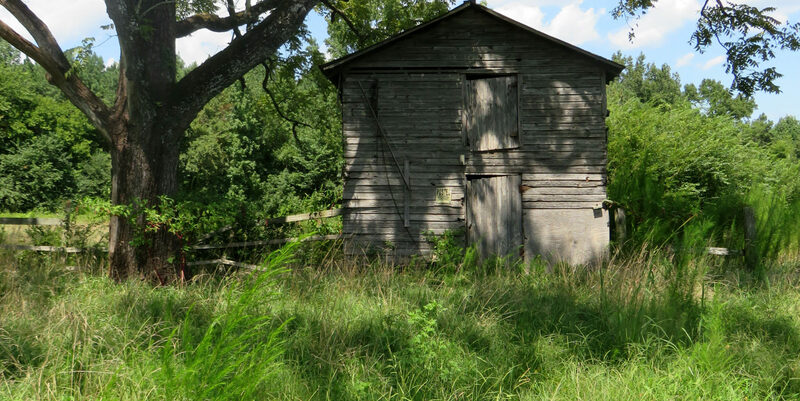 The site is a narrow strip of land, flanked by railroad tracks on the west and the river on the east. A wide central path bisects the park, with spurs that lead visitors to a kayak launch, a reading circle, and picnic areas. 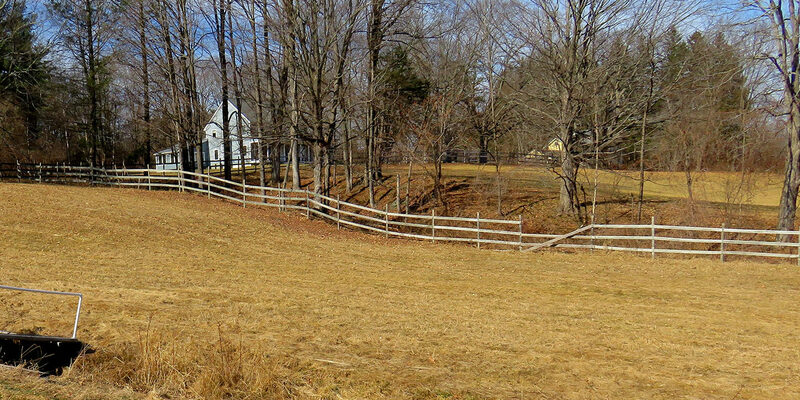 There are expanses of lawn, restored salt marshes, and low shrub thickets, but much of the character is open. 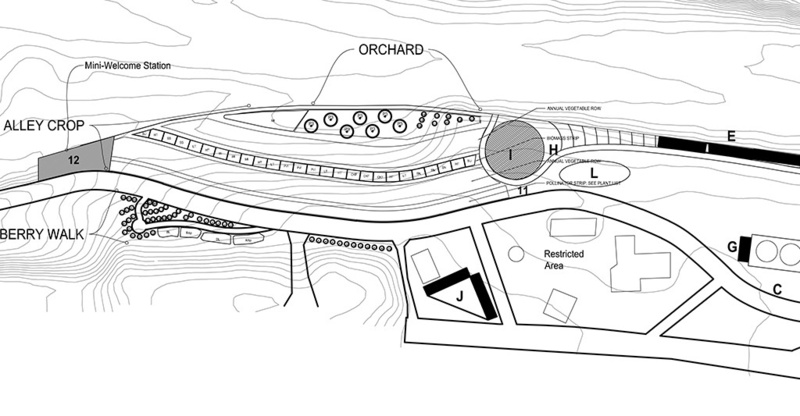 The planting plan focuses on the strip of land between the west boundary of the park and its’ main path. The palette for the northern terminus extends an existing tree and shrub layer into a woodland edge mosaic. Small trees like Shadbush, Cornelian cherry and American holly form the backdrop for shrubs. Native flowering perennials and medicinals form the herbaceous and groundcover layers. 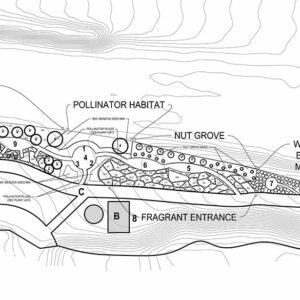 Directly south of the woodland edge is a fragrant entry garden and nut grove. Bee balm, mountain mint, and other low-growing flowering perennials line the path. The existing discovery zone is sheltered with a hedge of beach plums and sweetspire and a border of showy gas plant, calendula, and borage. Shrubs of lilac, purple flowering raspberry, and clove currants carry the eye to the hazelnut, chinkapin, and heartnut in the nut grove. A diverse pollinator habitat forms an open meadow, flanked on the south by a fruit grove of pear, persimmon, peach, and mulberry and a dense planting of underused perennial vegetables like skirret, sea kale, and jerusalem artichoke. 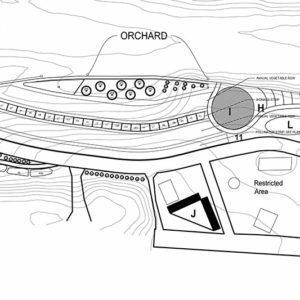 The south half of the planting plan has a more linear character, with paths alongside beds of orchard fruit, annual vegetables, and biomass and pollinator plantings. 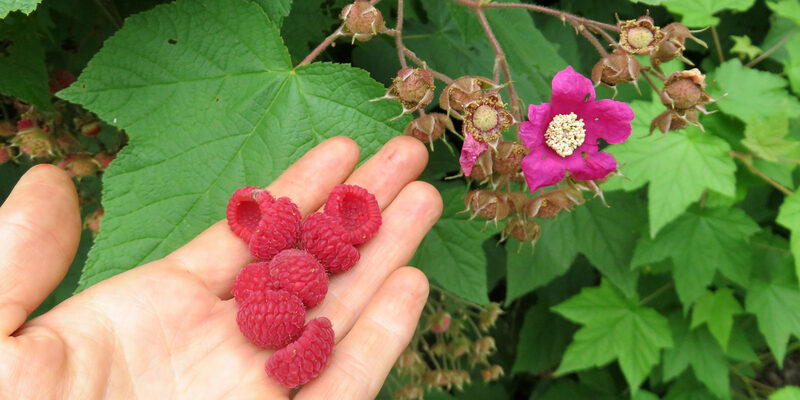 A berry walk, sited next to the existing kayak launch, will be a perfect spot to grab a handful of blueberries, currants, or raspberries before setting out into the river. Implementation of the planting plan began in Summer 2017 and is ongoing. 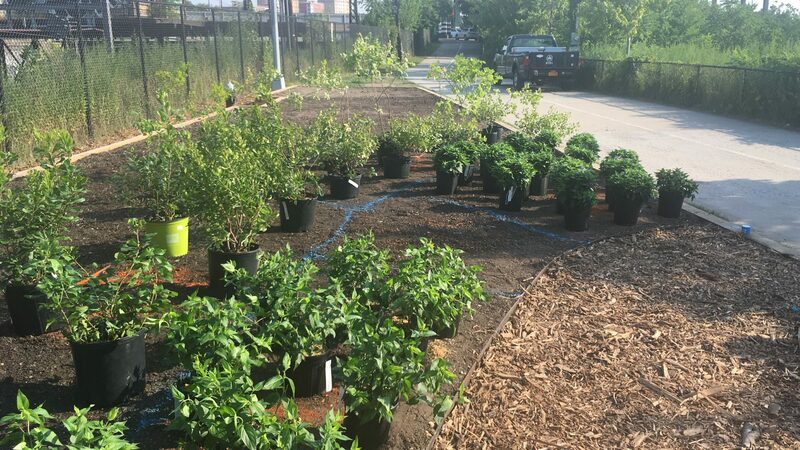 So far, over 4,000 plants—more than 50 species—have been planted. The site hosts tours, workshops, trainings, and community events. We hope the gardens continue to flourish and support for this groundbreaking community foodway continues to grow. 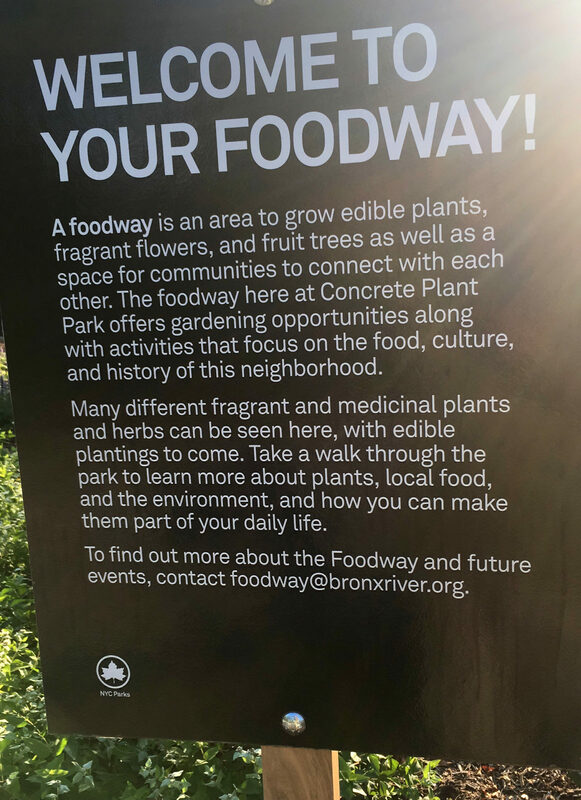 The Bronx River Foodway is a pilot project at Concrete Plant Park to examine how a sustainable food landscape can be integrated into a public park. The goal is to jump-start the imagination and think about new ways to use land within the city.